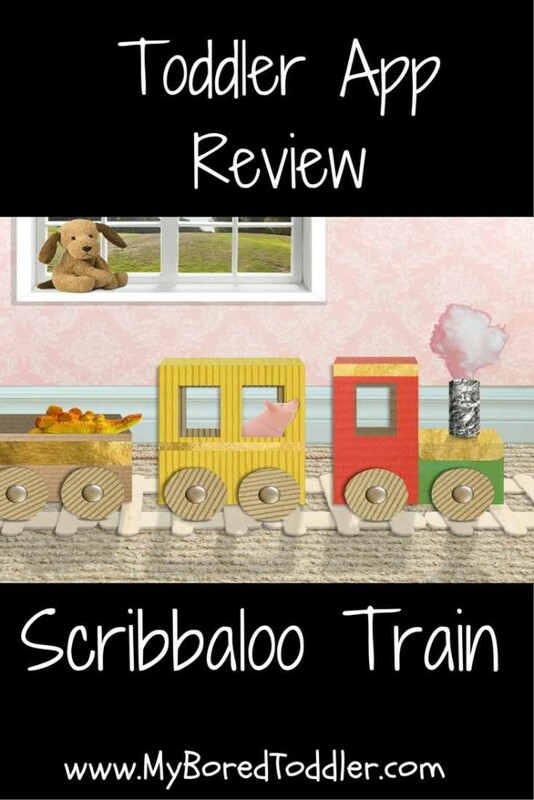 This week I have been reviewing the new app Scribbaloo Train. I admit that my expectations of this app were high, as it has already received some very positive reviews, and I definitely wasn’t disappointed. When reviewing any new app, my toddlers are the real testers. While I spend a lot of time playing with and testing out the app, I mainly base my reviews on how my girls interact with the game and how eager they are to play it again. Scibbaloo Train has definitely been a winner! My girls have been asking to play with this one all week, and they will get to the end and ask to play it again. The charm of the Scribbaloo Train app is its beautiful simplicity. There is a lot less going on in this app than in many of the other toddler apps, but this is what makes it so great. Beautiful music, unique images and a simple story. The images are made to look like a child’s collage, with the train and scenery made from sticky tape, felt and foil. It’s no wonder that it has been described as a ‘visual stunner in kids apps’. It is an app that is designed with the younger child in mind, and they have really thought things through. I love that the only action required is to click (trying to get a young child to click and drag can be painful!). You can tell that the app developers are parents! 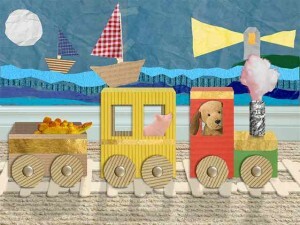 The app centers around a beautiful train carrying a puppy, a pig and a dinosaur, and the child is encouraged to click the missing pieces of the collage. Once the collage is complete, the train chugs to the next scene. 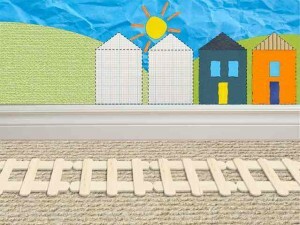 The Scribbaloo train visits the beach, mountains, countryside and more, visiting 10 different scenes in total. I really love the catchy music that plays in the background too. I highly recommend this app for toddlers, especially the younger toddlers. Scribbaloo is a paid app (approximately $3 depending on which platform you download from) and is definitely worth it. There are no in app purchases or advertising, and it is definitely one of the top toddler apps of 2015. You can find more app reviews here. « Toddler Music Review and Giveaway!